Our gloss celloglazed post cards are a popular choice for artwork featuring colourful photographic images. The shiny finish brings out the best in your pictures and helps your message really stand out. Remember that a post card doesn’t necessarily have to be mailed to customers… Sell them as souvenirs, use them as point-of-sale or create coupons. 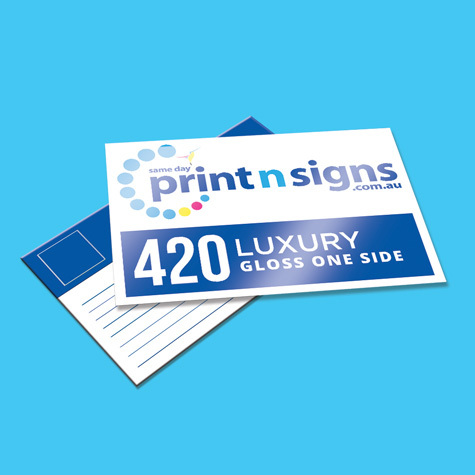 There are probably more occasions when a glossy post card would benefit your business… Let us know how we can help you today! Copyright ©2019 Samedayprintandsigns. All Rights Reserved.